TME’s offer has been enriched by universal camera modules (with popular image sensors) from WAVESHARE – a well-known manufacturer of development kits. OV7670 with 0.3 Mpx resolution. The cameras are equipped with lenses with manual focus and various angles of view (including wide angle lenses). Some products, e.g. WSH-10300, feature additional lighting modules (IR), which allow the cameras to be used in complete darkness. All control and power supply signals are delivered via connectors with a standard 2.54mm pitch or standard ribbon connectors used in cameras. 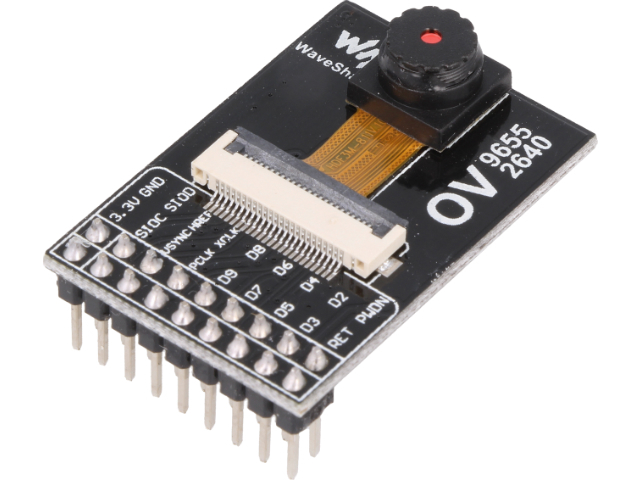 The former option is perfect for prototyping and using development kits, whereas the latter allows you to connect the camera modules to common single-board computers.